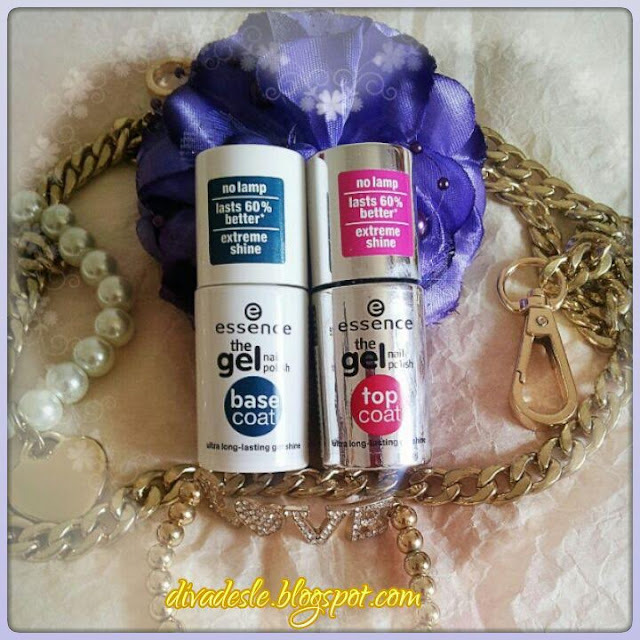 This week I want to review one of my recent nail polish purchases, which is the Essence Gel Base and Top Coat. I have always wanted to have gel nails done professionally at a nail salon. They last 10 times longer than normal nail polish and you can have so many different nail designs without worrying about your nails getting chipped or damaged. Thankfully cosmetic companies have come out with gel nail polishes that promise to make your manicures last just as long as the salon gel nails for a fraction of the price. I had really high hopes for these products as they promised to make my manicures last up to 60% longer and have extreme shine. In salons gel nails are bonded onto your nail with a bright UV lamp. These products are applied lamp free which is super convenient for those on the go and do not wish to purchase expensive gel nail kits that come with a lamp. Essence Gel Base Coat: The base coat comes in a 8ml white bottle with a standard nail polish brush. The formula of this base coat is pretty weird because it has a shine once applied on the nail but dries to a dull matte clear polish. This base coat dries really quickly too and it is kind of difficult to see that you even have a base coat on your nails because it has a very matte finish. The polish is quite thin in texture so it kind of gave me doubts as to whether the base coat would hold up for an entire week without chipping. Essence Gel Top Coat: The top coat comes in a silver 8ml bottle with the same standard brush. It is thicker in consistency than the base coat and does not dry matte. It gives the manicure a beautiful shine. It takes a little longer to dry than the base coat too. I was very impressed with the top coat on my first use. I liked the way the top coat applied to my nails and the shine it gave my manicure. The base and top coat are meant to be used in conjunction with the new range of gel polishes by Essence. I bought the shade 40 Play With My Mint to test the longevity of the base and top coat. I applied this manicure at least four times in two months to really test out the 60% longer lasting nail polish claims. As I said before I had really high hopes for these products not only for the claims but I read many good reviews on them. Sadly, I was quite disappointed with my results. I don't know what I did wrong but my nail polish didn't last longer than when I would use my holy grail Sally Hansen top coat. My nails started chipping at least two days after I had done my manicure. I tried to do my manicures a little differently every time like waiting a little longer for the base coat to dry and not using any nail art on the polishes. Each time my manicures chipped after two days. Needless to say these polishes did not hold up their claims for me. I was thinking of testing the base and top coat out with a different colour of the Essence gel polish range. Maybe I will get a different result. Others had given these products rave reviews but I wasn't very impressed by them. Have you tried this range? Did it work for you and do you love it? Please let me know below. These two are such a great combo! Unfortunetly I did not like it. 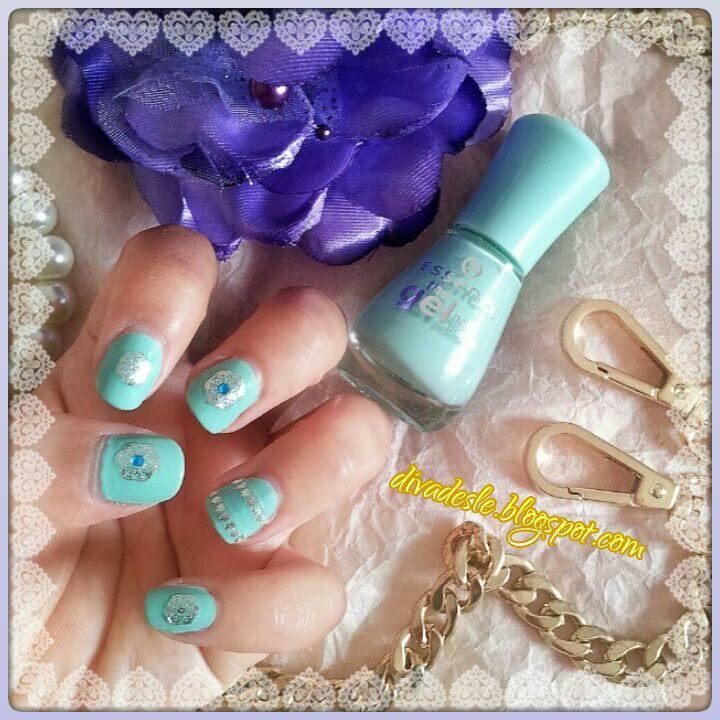 This top coat is very popular in my country and it's sold out everywhere. I really want to try it. Too bad that it didn't worked, but at least it's not expensive. The top coat is pretty good. That's not good! I haven't tried any Essence products so this is good to know. Yeah, I really wanted it to work.